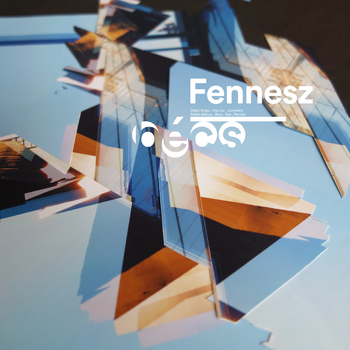 The last time Fennesz released an album on Austrian label Mego it was 2001 and the name of that release was 'Endless Summer'. Now, in 2014 Editions Mego is extremely proud to release the conceptual follow up that landmark of abstract pop. Bécs (pronounced 'baeetch') is Hungarian for Vienna and is the first full length Fennesz solo release since 2008's 'Black Sea'. Eschewing the more drone orientated works of 'Black Sea', 'Bécs' returns to the more florid pop mechanisms as deployed on Endless Summer. 'Static Kings' features the extra leverage of Werner Dafeldecker and Martin Brandlmayer who deploy a range of atmospheric abstract effects to shape a bewitching sound world. The 10 minute centrepiece 'Liminality' (featuring Tony Buck on drums) is classic Fennesz: epic, evocative, beautiful, impossible. 'Pallas Athene' creates a sanctuary of hovering beauty which leads into the title track. Emotional and assured, the track 'Bécs' is an astonishing contribution to contemporary pop. 'Sav' co-written by Cédric Stevens (aka Acid Kirk) inhabits a less structural terrain as one enters a forest of small sounds and oblique atmospheres, where the closing 'Paroles', a gentle melody unravels amongst swirls of electronics and fried disruption. Bécs is not just an album or a series of songs, it's a world to inhabit, a landscape ripe with sounds, songs and that esteemed Fennesz signature. A singular work by a singular artist.